HMH Books for Young Readers, 9780152020569, 208pp. 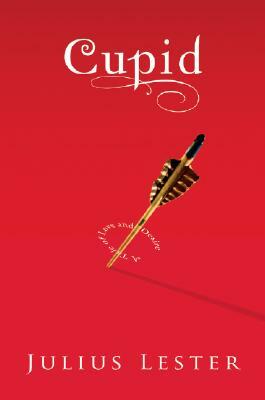 This is the story of Cupid--the god responsible for heartache, sleepless nights, and all those silly love songs—finally getting his comeuppance. When the god of love falls in love himself, things are bound to get interesting. And when he crosses his mama, Venus, in the process . . . Well, things could get downright messy. The much-lauded author of Pharaoh's Daughter and When Dad Killed Mom brings his renowned storytelling skills to one of the world's most famous tales. In doing so he weaves a romantic, hilarious drama brought to life with a bold new voice that's loaded with sly wisdom. Julius Lester's retelling is sure to draw new readers to classic mythology while satisfying old fans as well. JULIUS LESTER is the author of more than twenty books for young readers. He writes and teaches in western Massachusetts.